Hair Club Southborough is located on Route 9 West. Just after Central Motors and the Wendy's restaurant. We share a driveway with the Cumberland Farms Gas Station and the Red Roof Inn. We are located in a 3 story brick professional building on the 2nd floor. There are 2 main entrances located at the front and back of the building. I have been a hairclub member for over 15 years. There service has always been excellent! Gina, Christine, Deb and Linda are excellent stylists! If you want to look great and younger, go to Hairclub in Southborough, MA. to always look your best! I have been with Hair Club for many years now and visit the Southborough, MA office. I have always been treated with care and respect by all. However, I do want to highlight Christine Z., whom I have gotten to know over the past several months. Christine is friendly, professional and the BEST hair stylist that I have encountered. She is a 5 Star individual and a fantastic addition to your team. Thank you Southborough for taking good care of me. I have been a client for 22 years and new to this salon. The staff and stylists are very professional! Christine Zak did a great job each time I needed her..thank you! Each time I needed to get in for a problem that arose, the staff always got me in to help. I will be a regular client at Southborough, so it's nice to know that I will be taken care of. I have been blessed to gave the Cinnamon Hair Club for women in my life...wonderful product and the staff treats you like family...Michelle Berlinger is the best stylestimate I've ever seen! I have been a client for over 20 years. It has been mostly positive. My stylist D is incredibly professional and does a great job helping me style my hair. the staff has been very accommodating helping me with my appointments. And I obviously matt is a shining star among the center. Very pleased! I have been a client since the opening of the Southboro office.I have been a client for over 30 years. I love it. My hair Tec. Ginna is the greatest.She knows how I like my hair and takes great care in doing it exactly the way I want it.She tells me all about all the products and how best to use them. She is always pleasant and nice.All the staff there are so professional. it makes it a pleasure to come once a month. I have been a client at the Framingham/Southboro office for almost 10 years now. Becoming a member at HCM was the best decision I could have made. I have my self confidence back and I couldn't be happier with the choice I made! Staff are always cheerful, accommodating, and very helpful. Facility is extremely aesthetic and pleasant. Would highly recommend. It has been almost a year and I am very happy with the service!! Wish I had done this sooner in life!! Going to the Hair Club was the best thing I could have done to myself.. They are wonderful and give you so much attention..!! I have my self confidence back now! Linda, Deb and the others are like best friends for me now! You guys are the best.. I've been a client HCM FRAMINGHAM/SOUTHBORO for about 12 years I've always been satisfied with the service I've received. Recently I had a problem with the coloring of my hair. The response I received from both Kathy and Gina was not only professional but fast. I definitely am a HCM satisfied customer. I have been a client for over 15 years and have had a great experience with the team at the Southborough office. I have worked with different stylists and they all have done a good job. Also, the managers have been very helpful to me. I was in a very high exposure sales position and appearance was very important for my success. I would tell young professionals that having a good appearance is extremely important and that includes having a good head of hair. The lack of hair is not a deal breaker but having the hair and dressing sharp including polished shoes may get you a second or last look. Every bit helps in business today. I've been a client of Hair Club for 25 years and joined the Southborough office 6 years ago after moving from the Southeastern part of the state. In my 25 years with HCM, I have never seen a more professional and caring office than Southborough and feel more like a friend than a customer. Always welcomed and treated professionally, I would more than recommend a visit if you're looking for the right place and right people. Dee, my stylist, has been my go to person since I've been a client 6 years ago. I highly recommend. I've been a client at Southborough for nearly three years and have been very happy with the entire staff and especially Linda, my stylist. I can't begin to say how happy I am with my "new" hair and how great it makes me feel!!! Love you all! I've been a client of HCM for nearly 25 years. The site I use now is the Southboro office. Here I have met the most professional staff including management, stylists and office personnel. My latest stylist is Linda and even though it has only been 3 months, she is just great making me feel at ease and doing such good service with my styling. I have been a client for over 20 years. Visits to the Southboro office are always a pleasurable experience, mostly because of the people there. The stylists are knowledgeable and accommodating and at times entertaining as well! Especially Larry, Linda and Becky. The staff is also great, particularly Kathy &amp; Janine! To all the folks at The Southboro Center. YOU ROCK!!! I come to HCM-Southborough for two reasons- First - Everyone on the staff treats me like family. From the front desk to my stylist Becky, I feel more than a valued customer. To be a Hair Club member is to accept a certain amount of extra expense and time committment, for basically something that those that are not follicularly challenged could not possibly understand. If a visit was simply perfunctory, and professional, it would not be enough to sustain over the years. I know that Becky would not send me out in the world, looking even the least bit of her best work. I have also worked with Larry, Gina, Deb, off and on, and feel that they are also dedicated to my personal best appearance and experience. Second- I have been a client for 20 yrs, and I constantly get comments on my youthful appearance and even on my hair cuts. Therefore, I know that I do look my best and I thank Hair Club for making it possible. I feel having this appearance gives me more confidence in my business and personal relationships- While I might look fine otherwise, I prefer having people guess my age younger than older. Going to the Hair Club in Southborough is like visiting family. The staff is so personable, especially Gina. Not only does she do a superb job with my gray/white hair, but she is one of the most dedicated, friendly people I've ever known... it's obvious that she truly loves what she does and it certainly shows in her performance. I can honestly say that I look forward to visiting the Southborough facility. My best friend is a barber and he is amazed at how genuine my hair looks... can't believe it. This is a testament to Gina's ability. I'd be remiss if I didn't mention Becky, that vivacious young lady that always greets me with a compliment and most importantly, a hug. I have been a client for 7 years, and I think that the Southborough office is amazing. I have always had a great relationship overall. However, the atmosphere and the employees are great! I feel like being at home. Thank you for providing such a good service. Hair club is the best! I have been coming to hair club southboro for the last ten years and I have nothing but positive things to say about this place. Showing up for my consultation, I was welcomed with open arms and I was given honest feedback about my hair loss. From day one I could feel in my heart that this was the place that could help me with my hair loss situation that had been tormenting me since it had begun. Since that memorable first day, hair club southboro has given me back my self confidence, self-esteem, happiness, youthfulness, and most importantly my hair! The people at hair club have gotten to know me over the years and they are not only the professionals that take care of my hair but my friends as well. I have been a client for 15 years. The employees at Hair Club are polite, courteous and friendly! There hair cutting techniques are excellent. They have always given outstanding service and made me look and feel 15 years younger! I have the good fortune of being a client of Larry for over fifteen years. Hands down the best in the country!! He has been extremely kind over the many years as I have had numerous health issues related to my head. His creativity with the hair design is wonderful and fun.We laugh all the time which make for a pleasurable experience. Kudos to the entire Southborough team. They are a terrific group. The Hair Club team has been great, very supportive and caring. Linda is full of information about the process, and I get complements on the hair cuts she gives me. I've tried many hair loss solutions over the years. While I don't seem to be growing a lot of new hair, my existing hair seems thicker and fuller. I've been an EXT client for about 9 months, the treatment is working, and I really enjoy the message. The staff is so friendly and they really insure that complete satisfaction is always achieved. Losing your hair as a women is so difficult and very personal. So I want to thank the Southborough office for always being so professional and supportive. I've been and EXT client for about 8 months,the treatment is working, and I really enjoy the massage! My highest recommendation! I can't say enough about the staff at Hair Club Southborough. They are always able to accommodate my busy schedule and make me look ready to take on the world! My stylist is Becky, and she has been wonderful - she is technically excellent, very friendly, and has given me great advice over the years (and I have been a client for many, many years). Thanks for all you do! i been member of hcm for 25 years.i like the staff they are very nice to me all the time,my stylist is really amazing,i can call him anytime for question.and i have grate relationship with center manager and staff,and i fill so comfertable.also during 25 year never had any bad experiance and they make me look great. I have been a client for 25 years. From day 1 the decision to use Hair Club was never if I or should I but let's do it. No hats, no comb overs, no lost water sports. Just day to day living with a more youthful look. 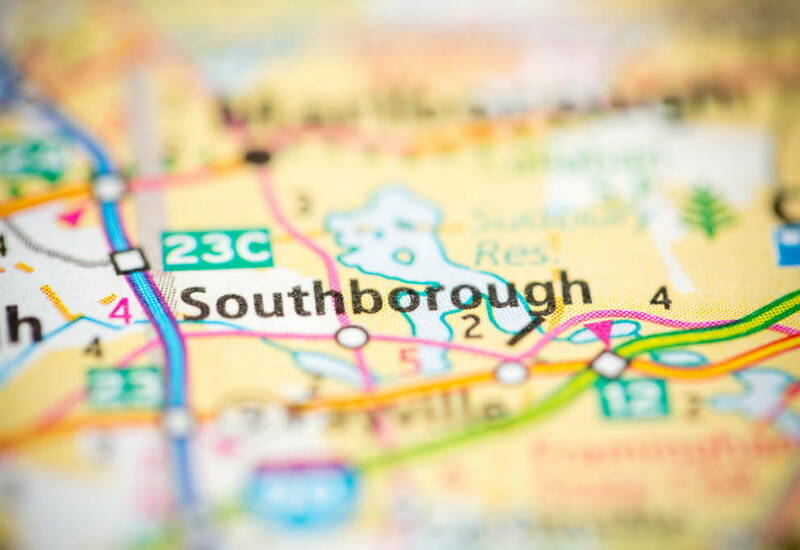 Every service from the Southboro office is a pleasurable experience. The stylist's are incredibly knowledgeable and accommodating as well as entertaining. Especially Dee and Becky. The staff are also Super! The innovations in the hair technology I see every visit from my fellow members just boggles me. To all the Staff at The Southboro Center. YOU RULE!!! I'm fairly new to the club but since joining its clear to me why so many people have been members for 10-20 yrs. In my short time here, I've had the opportunity to travel to other locations and Southborough by far has stolen my heart. The manager Janine is always there to greet me with a smile, Cathy the Asst Manager is always pleasant and Geno the consultant treats me like a friend. All the stylists there are great especially the incomparable Becky. Love this place and the way I look, thanks Southborough! Friendly, professional and always on the top of their game. Great crew in Southborough! Quality product with superior staff! I am a happy,satisfied Hair Club client. I bought my first "system" in 1985 from Steve Barth. Hair Club is hands down the BEST in the business and I have been elsewhere so I know. I've been coming to Southboro for the last 3-4 years. The whole crew there is great. It is a comfortable,friendly experience every time I go. My stylist Dee is a true Pro. She knows her stuff and my hair has never looked better! Thanks Dee and thanks to everyone at Southboro! I'm fairly new to Hair Club but in reading the reviews above its no surpise to me why these people have been members for 20 years. From my initial consultation to my biweekly appointments, the staff in Southboro is outstanding. The manager Janine is always there to greet me with a smile, Asst Manager Cathy is always warm &amp; pleasant, Geno my consultant is always on top of showing me new technology available to me and the ENTIRE styling team rocks. I've been to all the stylists a few times and really love them all especially the incomparable Becky. In my short time as a member I've traveled to many HC locations and can say the staff and team here have stolen my heart. Thanks to my Souhthboro Hair club family for taking care of me and making me look/feel 15 yrs younger! I've been a client for 26 years. The service I get in Southboro exceeds the other centers I've visited, and the product keeps improving year after year. My technicians (Becky and Gina) are the best, truly caring that I am satisfied with the results! I've been a hairclub member for over 12 years and my only regret is that I didn't join sooner. My regular stylist, Larry, goes above and beyond the call of duty to make me look and feel my best. On the few occasions in which I've not been 100% satisfied Larry has been prompt and courteous in rectifying the situation. Aside from Larry, the support staff is very courteous and well organized. Kudos to the Southborough center for the great way in which they run the business. I have been a Hair Club member since 1999 when the Southborough Center was located in Framingham. Throughout my membership, I have been truly impressed with the professionalism exhibited by every member of the staff there: Center Managers, Receptionists, Image Consultants, and all the wonderful stylists. A special shout out to Cathy at the front desk and now the Business Manager, as well as my stylist, Linda, whom I also consider a friend. Linda's creativity, attention to detail, artistry, and problem solving ability are very much appreciated as she makes sure I'm happy and looking good! Thank you very much, Southborough Center! I've been a customer for 13 years at Hair Club, and two other companies before that. Hair Club is the best by far. There are no weak links in the staff as I found in my previous experiences. Although Becky is my main stylist, there have been several times when for one reason or another I've seen almost every stylist there. Each time has produced great results. Hair Club Southboro is a class act and we have lot's of fun too! I have been a very happy client for nine years. The staff is so talented and always accommodating. I always feel like a million dollars the minute I arrive to the moment I leave. I've been fortunate to work with several members of the team, namely Linda, Larry and Gina. They are outstanding, and always professional and wonderful to work with. I've been working with Gina exclusively for the last few years, and I cannot say enough good things about her. She is simply an amazing stylist with exceptional customer service skills. I couldn't be happier with the folks at the Southborough office. Great customer service at the Southborough Center. The whole team works together to ensure each member is happy &amp; looks good. I really enjoy my service time there, they're prompt, courteous and always professional. I'm a 22 year veteran of Hair Club and can't say enough good things about the company or my service center in Southborough, Mass. From the moment you walk in the door you're welcomed like a family member &amp; all your hair cut/style needs are met. Each stylist is friendly, professional and always willing to squeeze you in for an appointment if need be. The management team is fabulous too. They are always there to address my concerns and make me feel like I'm always a top priority! Great job Southborough, thank you! I have been a member for over 10 years and have had a great expirience! The entire staff is very proffesional and outgoing and make every visit a pleasure. I have been seeing the same stylist (Dee) since my first visit to the center. Dee has been amazing with her attention to detail and awesome personality. Thank you Hair Club! Very professional, long term relationship. Excellent product result on a very difficult subject, me!!! I have been a Hair Club member since 1993 and truly feel it has been a great decision for me and I am thankful that hair loss solutions like these exist. I have gone to several centers over the years and have been satisfied with all of them, but the Southborough office has been and continues to be my favorite. The staff creates a very comfortable, supportive atmosphere and works very hard to understand and meet my needs. They really know their clients as individuals and make the experience of hair replacement stress-free and actually enjoyable! All the stylists in Southboro are excellent, and Becky, in particular, has done an incredible job for me these past 6 years. A big THANK YOU to the Southborough TEAM! Loyal &amp; happy client for about 11 years. Can't find a more professional &amp; fun loving group than the team in Southborough! Always warm, always friendly. I look &amp; feel 10 yrs younger, great company who really care about their clients. Highly recommend this group! I lost my hair at a very young age of 19. I remember being a sophomore in college and seeing all my friends with full heads of hair, thinking why did this have to happen to me? I literally did not leave my dorm room EVER without wearing a hat. I felt like I was missing out on life and felt miserable every day. Hair Club has changed all that. They gave me back my self-esteme, my dignity, and most importantly, my youth. I have been a client here for now over 13 years! Thanks Janine and staff for changing my life! Been going to the Southborough center for over 10 years and I couldn't be happier!My stylist Larry is always professional &amp; makes me look incredible. He inot only my stylist but someone I consider a friend. The whole team is fantastic and always accommodating. Very happy to be a part if this group! The staff at HAIR CLUB is great. My stylistt Larry is great. He is on the ball with current styles. Joining hair club was a very hard decision to make at first. In turns out to be one of the best decisions i have ever made. From the very first consultation in southborough, all of my questions and fears have been answered. The quality of the staff and the way they take care of all your questions and concerns is second to none. There is a very high comfort level when you walk into your appointment and over the past few years it has only gotten better. If anyone had any reservations about checking them out, i'd highly encourage you go talk to them. They will walk you through a very difficult decision and give you an end result that is well worth it. Thank you to all the staff for your professionalism and hard work, making this a great experience. I have been with the folks in southboro for almost three years. My stylists (Dee and Gina) are the "best." They keep me looking good despite my best efforts to the contrary. The feeling of being a part of a "big italian" family is what makes the southboro office such a special place. You may not be a "platinum plus" member,but in the eyes of the southboro crew everyone is "platinum plus". I love them all! I have been a happy client for over 8 years. After my first initial consultation,I came back in twice because my nerves got the best of me and I was a bit hesitant. After my questions and concerns were properly addressed by my consultant, I decided to take the leap and become a member. As a local business owner &amp; someone who is often in the public eye my appearance means everything to me. Joining Hair Club was one of the greatest decisions I've ever made. I love the way I look and even more importantly the way I feel when I look in the mirror. From the moment you walk in the door at the Southborough Center, you are welcomed like family. The front desk is always accommodating with scheduling difficulties, the management team is always there to address my concerns and the talented team of stylists always makes me look top notch. I can't say enough good things about this team! If you live in Massachusetts and are a Hair Club member or are thinking of becoming a member I would heartily recomend Hair Club of Southborough. These guys are the best!! From the great business staff of Jeanine, Gino, Cathy and Caitlin, the the stylists, they treat you right. I have been a member for many years so at one time or another all the sylists have cut my hair. I can honestly say that I have NEVER been disappointed. Larry, Dee, Becky, Deb, and Linda are all consumate pro's and fun guys too!! But I would be remis if I did not give special thanks to my girl Gina. She is the best of the best. She has come to know exactly how I like my haircut and she gets it perfect every time. Thanks guys for making my Hair Club experience so great!!! I have been a member since 1987 and have been coming to the Framingham--&gt;Southborough office since they opened. You won't find a more friendly and accommodating staff anywhere. Janine and Gino are ALWAYS there to greet you with a smile and mean it. They take the time to really know you and make you feel like you're part of the family. Larry Realejo has been servicing me since I arrived and must say, he has been fantastic to work with! Courteous, respectful, and always with a great sense of humor. Anytime I might run into an appointment glitch or need something special; he NEVER has a problem with it and I'm taken care of with a smile. I am forever greatful to Hair Club and the staff at Southborough! Thanks a million!!!!! I have been a member for almost 20 years. The Southborough office is terrific. Great staff, always friendly and welcoming. They even coordinate my visits with the Sarasota, FL office when I'm down there. I have been going to Di for many years now - she's the best! I was extremely nervous when I first went into Hairclub but the entire staff has been nothing short of phenomenal. They have been wonderfully supportive and I now feel like I have a personal relationship with the stylists (especially Linda) and the rest of the staff. At each appointment I am greeted like an old friend with hugs and smiles. I have recently made a major change in my life and they have been a huge part of the success of my journey. I have been going to hairclub for the last 5 years. Losing your hair at a young age can be very uncomfortable and embarressing to deal with. From the initial consultation all of my questions were answered and a proper solution was presented to me. The staff at the southborough office have always made visits extremely comfortable and any speculation or fear have gone away. They take time and really care about how you look and take their jobs very serioulsy. Becky has been my stylist for a couple years now and i couldn't be happier. I have been a Hair Club Client for 30 YEARS (I actually bought my first system from Steve Barth)! I am really happy with Becky and everyone at the Southborough office, especially Becky and Cathy. They treat me like a family member. It is such a friendly place - we chat about everything from my job to my kids, and in a short time, like magic, I look 20 years younger! What could be better? The product they supply is fantastic. It has evolved over the years to a product that is truly magical...I never worry about how I look, and I know that it has helped me in my career. Becky is always ready for me and gets me in and out in record time. I am proud to recommend Hair Club to anyone! I've been going to the Southborough office for over a decade and can honestly say that the service and people there are nothing short of great. The office is friendly and welcoming; my stylist Gina never fails to do anything but a excellent job. She listens to what I ask for and always delivers. She makes me look great and is invariably pleasant and fun to talk to. The atmosphere is familial and I always feel recognized and appreciated. The office staff are always willing to work with me. Lately I've been having a tough time financially and the organization has been very accommodating and helpful. A special shout-out to Cathy at the front desk here. Highest recommendation! Southboro Office is a great group of people. The entire staff is friendly, accommodating and welcoming. Larry and Becky are awesome ! I've been a client for over 20 years. The service has always been excellent. The staff is friendly and always accommodating always going out of their way to fit my tight schedule. I've had great stylists with my current one, Becky, being one of the best ever. I've been a satisified client of Hair Club for almost 20 years. During that time that staff of the Southboro office, and my stylist, Rebecca, have been accomodating to all scheduling and styling requests. The entire staff is professional, courteous and always willing to help. I would recommend Hair Club and the Southboro team to anyone. Hair Club is the BEST!!!!!!!!!!!!!!!!. The best decision I have ever made was joining Hair Club! After using Rogaine and Nioxin for 9 months and not getting the results I needed, I decided to invest in extreme hair therapy, which was recommended to me by a friend who does the treatments and got his hair back. In just 2 months I started seeing results. 5 months later I have no visible hair loss and even my receediing hair line is filling in. My wife and I are so excited with the results that we got her brother to join. I started with a 6 month program, but now that I see results I am absolutely rejoing for another year. I would definitely recommend the full year to anyone that is considering joining hair club. This is something that you will not regret! -TEDD R.
the customer service is great, friendly and professional staff. if you need their services, this is a good center to go to.